Where should we mail you? Do have access to the Internet for personal use? Please tell us about any special skills that you have that you would like to share with us? 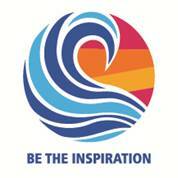 Please tell us about any activity that you are involved in which could be of benefit to any of Rotary’s programmes? The Bi-annual membership fees of the Rotary E-Club of South Africa One are +-R800 which covers the Club’s Dues to Rotary International, District 9370 Dues & the Rotary Africa Monthly Magazine and are payable on the 1st of January and 1st of July each year. By completing and submitting this proposal/application form you agree to your name being put forward for membership and by accepting membership you agree to abide by the principles of Rotary International and the Club Constitution and By Laws and the requirement that you will be required to log onto the Rotary E-Club website on a weekly basis and participate, where applicable, in the weekly TOPIC for discussion. Our Club meets fortnightly on GoToMeeting and the dates and speakers [where applicable] are listed in Outa Space. You will be reminded by email of the GTM and the logon details in the week preceding the GTM. Remember, we are a REAL Rotary Club with REAL members who enjoy Fellowship & Fun while doing extraordinary things to improve and change the lives in communities.